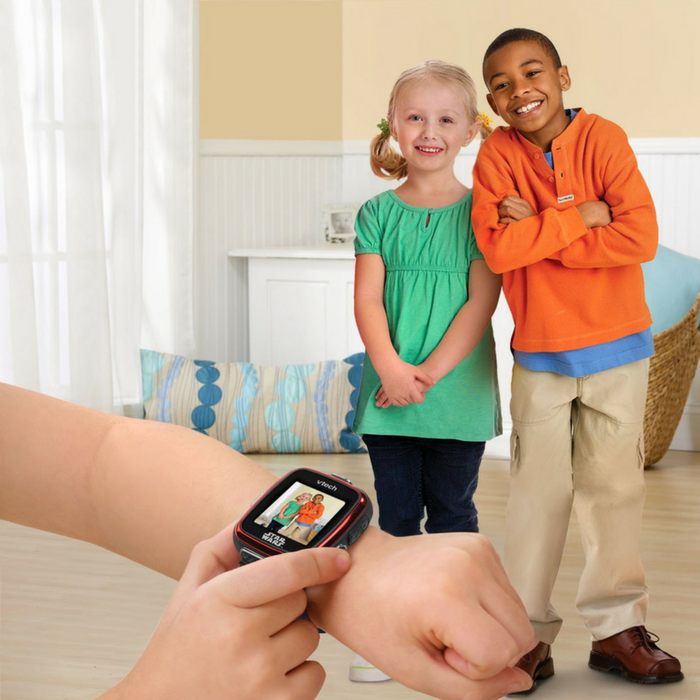 VTech Star Wars Smartwatch Just $29.99! Down From $60! PLUS FREE Shipping! You are here: Home / Great Deals / Amazon Deals / VTech Star Wars Smartwatch Just $29.99! Down From $60! PLUS FREE Shipping! Amazon has this VTech Star Wars Smartwatch on sale for just $29.99 down from $59.99 PLUS FREE shipping! The perfect accessory for galactic explorers! Capture every adventure in photos and videos using the built-in camera. Personalize the watch by choosing digital and analog clock faces featuring favorite Star Wars characters and explore time concepts with a timer, alarm and calendar. Capture all your adventures with one touch using the built-in camera. Get creative by choosing from more than 20 Star Wars camera effects to enhance the photos and videos.